You don’t need a ‘diagnosed issue’ to contact me; counselling can enhance emotional wellbeing and aid personal development. I offer confidential sessions at discrete premises to actively listen, empathise and accept you. I have the advantage of being an Integrative Practitioner, meaning I am professionally trained in Psychodynamic, Person-Centred and Cognitive Behavioural therapies. Our initial assessment will identify if this suits your needs and if we feel our therapeutic relationship could work. You might want to change current thoughts/behaviours for a specific issue; sometimes you might need to freely express your emotions and work out your best way forward. You might need to safely explore past experiences and significant relationships to make sense of your present (Psychodynamic). I have practised in voluntary and statutory settings including the NHS, national mental health charities and educational wellbeing support. With an enhanced DBS, I work privately with adult clients and young people from 12 years old. I was also a counsellor (and am now a clinical supervisor) at a local young peoples' counselling agency, often working with CAMHS referrals and issues such as: self-injury, depression, anxiety, OCD, suicidal ideation, gender and sexuality. I have collaborated with NHS Gender Identity Services in London and Daventry. Alongside my general private practice, I also manage a senior school counselling service, providing placements for counsellors-in-training. Furthermore, I specialise in grief and was previously employed as the area phone support for a national bereavement care charity. I deliver training and clinically supervise counsellors’ case-loads. 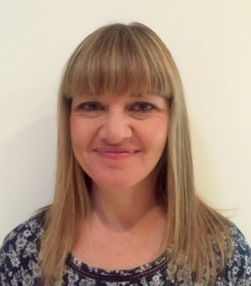 I am a qualified clinical supervisor with 4 years experience in supervision (8 years counselling). I am a group supervisor for a local CAYP counselling agency and a national bereavement support agency. I also provide supervision for a national anti-bullying support agency. I deliver individual, peer and group supervision to professional practitioners and students. Furthermore, I manage a Senior School counselling service and deliver the group supervision. As an integrative practitioner, I work with most orientations - my core training includes Psychodynamic, Person-Centred and CBT.